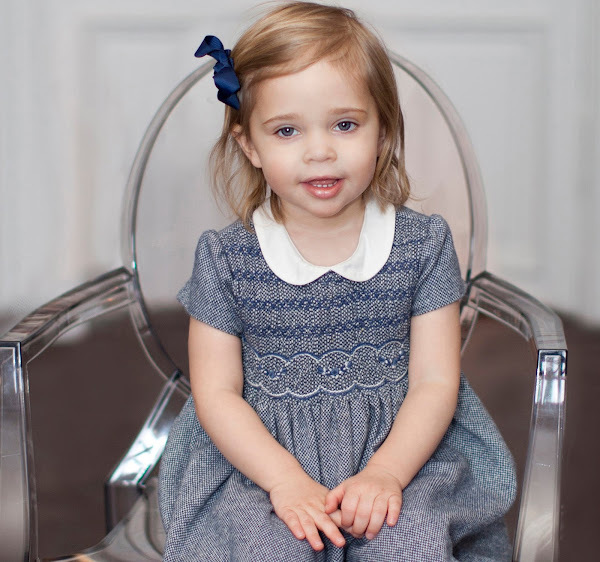 Daughter of Princess Madeleine of Sweden and Christopher O'Neill, Princess Leonore of Sweden celebrates her 2nd birthday. 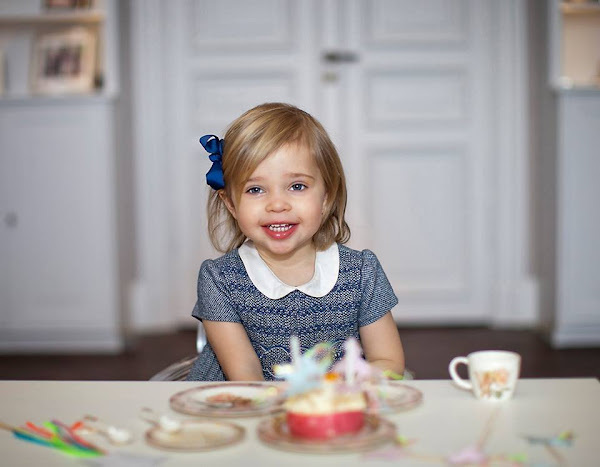 Swedish Royal Palace published a new photos of Princess Leonore on the occasion of the birthday and opened a congratulation form page on the Royal website for everyone who wants to congratulate the Princess. Everyone can write a congratulation on that page. On that page, you can also write to other members of the royal family. You can write your congratulations also on the Royal Facebook page. For Royal Web Page: Congratulation Form. For Royal official facebook page: Kungahuset Facebook. Happy birthday to you Princess Leonore. Très jolie petite princesse, bel anniversaire. Oh my goodness, she is adorable!! Happy birthday to little Leonore. Such a sweet and beautiful girl. 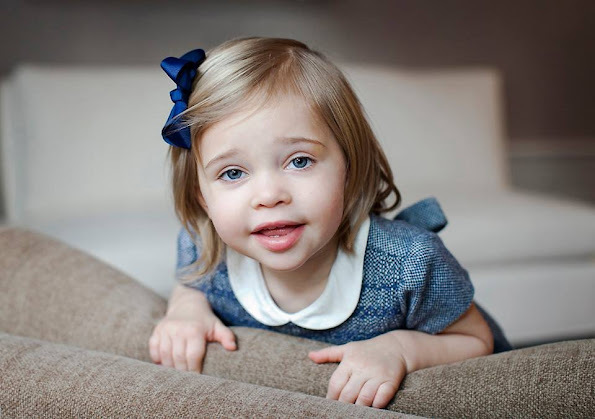 Happy Birthday to the lovely young Princess Leonore ! She's so like her Father to look at ! Lovely little girl. I like the dress. Madeleine and Chris live in London, so the dress was probably bought there. The Swedes do not seem to flock to the stores and buy an outfit for their child(ren) like the silly Brits, who will pay ridiculous prices for whatever George and Charlotte are wearing. There's nothing silly about the Brits ! And further more nothing silly about wanting to put your children in something nice to wear ! Reading your comments the mind boggles as to what you put your children in ! When commenting on these sites you want to try commenting with a little more respect ! I agree with you Lizzie. I'm tired of the "Kate effect" especially that she has a really bad taste in fashion, and now George and Charlotte...I think it's silly as well. @Lizzie,why are you always compare everyone to British royalties? Your comments are usually very stupid! Nobody is forcing anyone to dress children like George or Charlotte. Whatever we see in Fashion journals normally people follow ... if they can. Agree to Anon 5:23 AM, thank you very much, well said. Kate shops local and wears British brands. She has very pretty face, not boringly pretty but with definite character and very eye-catching. She's going to be beauty like her mother. Happy Birthday. Wishing her all the best. She is a cutie. Precious photos. I always freeze seeing children without long sleeves or legs. Happy birthday to this beautiful little princess. How quickly time fly...it seems like only yesterday she was little bundle held at her parents hands but now she's beautiful and adorable little girl. Happy Birthday to Leonore. All the best for wonderful year ahead! Magnifique petite fille, selon moi elle est plus belle que ne l'était Estelle au même âge. Totally agree, rajashree! And her paternal grandmother is extremely attractive to say the least! Like some of the other commenters, I too can't believe how fast the time has gone by. Two years old already! Happy birthday, little doll! Grown ups who have the need to critice children if it's their clothes, hair, appearance, face, expression or whatever only trash themselves and show what kind of sad and ugly person they really are!!! People who criticize don't always do so with hate and are not necessarily sad and ugly (I am not). Some of us scrutinize facial and other features more closely than another person might, it's our interest, and we make our observations of things we like or don't like. Leonore has Chris's "sad" (politely speaking) look, you can see it in his other relatives as well. But of course you have never criticized anyone!!! Do you like everything or everyone you see? We all do it to one degree or another, sheesh! It's all about sugar. All "negative " comments have been deleted. What a blameful dictation. I feel reminded of a very dark time! I'm quite interested to know what is wrong with Leonore's face and her features. I really don't understand how she has "sad" look. She has that i-want-to-discover-the-world look. I guess we people can see different things. Leonore is only 2 years old, her facial features will change a lot as she will grow older, hopefully negative comments won't make young ones unsecure person. I think that she's perfect as she is! Very beautiful little princess. She is going to be a beauty like her mother. Black Alien, you should crawl back into your cave. She is a beautiful little girl with a very expressive face. A very happy birthday darling, may you be a princess after people's heart! But little children are all like that - running around, discovering the things that are new to them and if you stop them, they squirm away. I wish I had so much energy like they do. My son can run about several hours and still be fresh and seemingly never tire (ibid I want to sit down and take long rest ;). Its normal and that's the way healthy children act. I guess Leonore took this photoshoot as part of the game and she played along so nicely. These are very beautiful and adorable photos. The photos are indeed sweet. She is an adorable little girl, very cute. Favors her father's side. She will grow into a beauty like her mother. It is very hard to hear harsh comments about a child. Maybe her mother sees these comments, how cruel. I couldn't agree more ! I think people need to remember they're passing horrible comments on innocent children ! Herzlichen Glückwunsch zum Geburtstag kleine Leonore. Was sind das hier einige für dumme Menschen - es ist falsch hier eigene Agressionen abzubauen. She's a beautiful little princess..
Little Princess is nice looking girl , she has the looks of her grandmother Eva, Chris mother. Times fly, not long ago we all saw her as a little tiny baby. 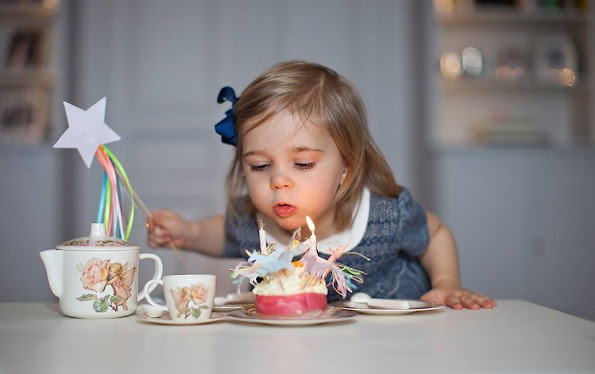 Cute little girl, I wish her a very happy birthday. To the board host: The first photos of the little Prince of Bhutan have just been published. It would be nice to see them here, too. Why are some comments deleted? This is ridiculous. Only good comments can be accepted. Firytale site indeed. But nevermind. Happy birthday Leonore. Freedom of speech par excellence....NOT !!!!!!!!!!!!!! Sometimes you have to shut up, swallow your pride and accept that you are wrong. It is not giving up, it is called growing up. Well some of the comments ware ridiculous to. So a agree with board host on this one. 8:18 sorry, but I don't see you point. I do not know about you, but I appreciate the freedom of speech in every form. Why should something be deleted if it sounds ridiculous to someone? Looks like this is an NMR sugar board. What's wrong with us commenting if we don't like how Leonore looks? Is that a crime? I realize I don't own this board, but so why don't you stipulate that you will allow only kind comments that don't step on anyone's tender toes and hurt someone's feelings. But there is censorship everywhere, not just here. Thanks for deleting one of my comments here as well, glad I saved them. And screen shots are a wonderful thing. Enough already. I don't need this. What is wrong with little Leonore's looks? I'd really like to know your opinion. Is there some kind of standard that allows to say that: "Yes, that child looks OK" or "No, that child don't look OK". Leonore is not fat, she's not cockeyed, nor has she crooked nose, etc. And even if she did, she'd still be normal and there's no need to belittle people with features that are not up to some people standards. If you want to be mean, then lament here that your comments were unfairly removed/deleted. To be honest I think that it is very cruel towards little, innocent children to say that they look "wrong" when they look perfectly normal and there's nothing wrong with their looks. No wonder that there are so many unsecure adults in this world...Sad. In my country we have saying viisas ei virka, hullu ei huomaa (Wise do not say, fool does not notice). It really is not necessary to speak out everything negative you manage to dig out. Are you really proud that you saved your own nasty comments of two year old child? They are so important to you? That tells a lot of yourself. Oh dear! It´s her birthday and she does not deserve cruelty like any other person. Please, to the person, who makes nasty comments, why are you doing that? Is there no conscience, no heart....who did that to you? when? when? is kate and william ever going to let their people see their future heirs???? 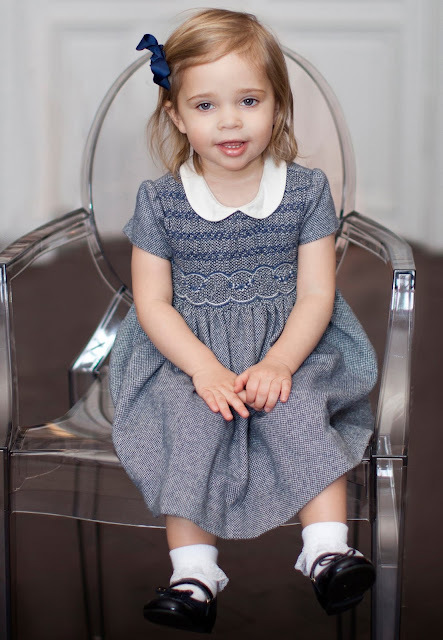 charlotte has never been seen only a pic taken by kate, george is never seen, whats going on with that couple, anyway, love the SRF, their kids are adorable so are the spanish and monaco twins, cant get enough of them!!! There are very few pics of the spanish Princesses. “Beautiful" or not "beautiful"...the real question is, why would any royal follower believe that "beauty" is an attribute that MUST be commented on - in fact, the ONLY thing to comment on? is that all the “(not) beauty” commenters see, when they look at these photos? It must be so, sadly --- as it’s the only thing they talk about. They don’t seem to see the happiness, the vitality, the relaxation, the engagement, the thousand other qualities in the child’s face - they don’t see the personality which these photos convey. All they see is a saleable commodity - BEAUTY- on a scale of 1 to 10. It’s such a cold and heartless way of looking at people. We live in an image-hungry world, where everyone in the media is judged on their looks -- because looks sell. But Leonore is not auditioning for a baby model agency. These photos are not her portfolio, and no-one asked us to assess her potential as a candidate for the beauty marketplace . Luckily for her, however, Leonore is not a celebrity, she’s a royal; so thankfully, her “beauty” (or lack of it) is irrelevant. It’s time to drop altogether the “pretty face/ not a pretty face” gridlock where royal commenting is concerned. What counts, is who a royal is as a person - :) just like the rest of us :). I totally agree with you A24-45 here. This blog is giving a picture beauty as beauty contest external beauty and youth are the only things that matter and to goal for. So far that persons all other quality, skills and work count just nothing. Thank you, well said Ladys. All comments should be sugary sweet about little princess, what is not to like? Every child in the world are sweet and should have a good childhood. Of course the little girl is sweet!